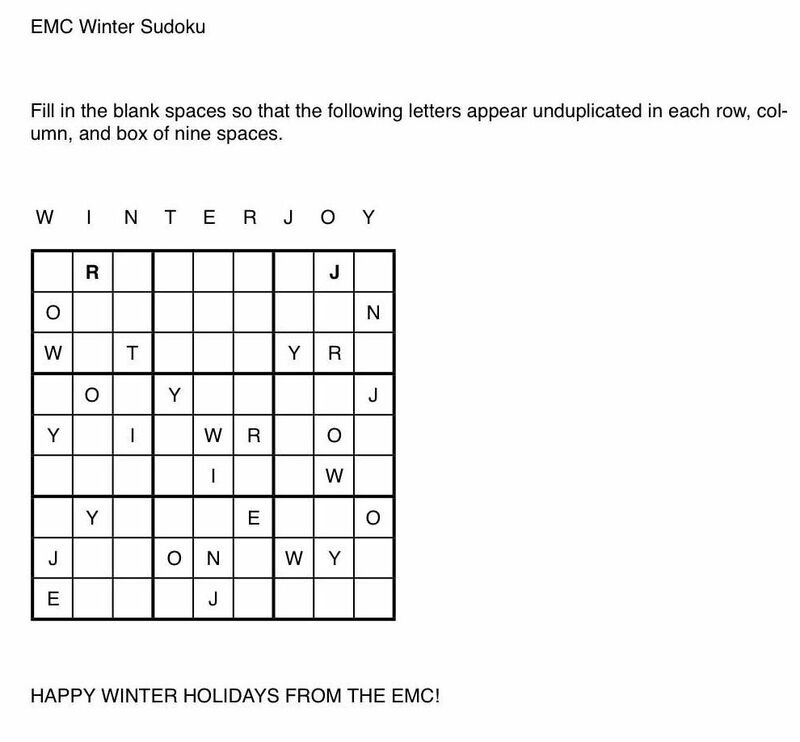 Years back, when the EMC was young, we used to send out an email greeting in celebration of the various winter holidays. We had plain text emails in those days, so we made a little tree out of x’s and hyphens. By 2004, we had sent out a Winter Sudoku (see below). But time went on and round-robin email became increasingly disliked, so we dropped our little EMC winter greetings. 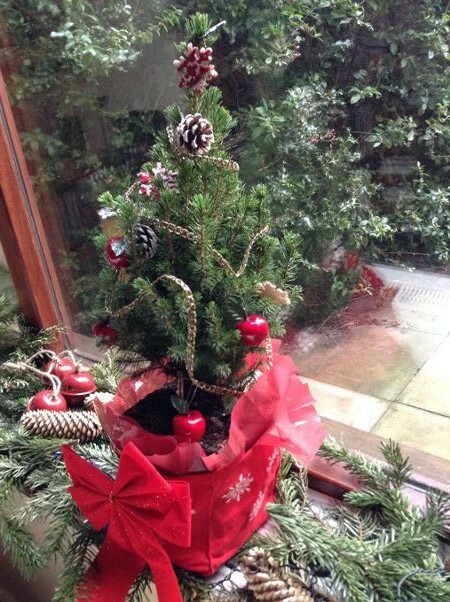 But now, with the EMC Blog and EMC Facebook page, we thought it worthwhile to return to this little tradition, and upgrading from text trees to the real EMC tree. We’ve had so much fun chatting to people about experimental and minimal composition and free improvisation that we wanted to wrap up the year by being a bit soppy. We hope your year was wonderful and wish you all the best, musically and personally, for 2014. Thanks a lot. Keep going! Thanks, dear Oded! We’re fine here. Last night was very windy and the usual rivers have overrun their banks, but today was pretty and sunny. We’re looking forward to your new project! Previous Previous post: CHA goes oop North!